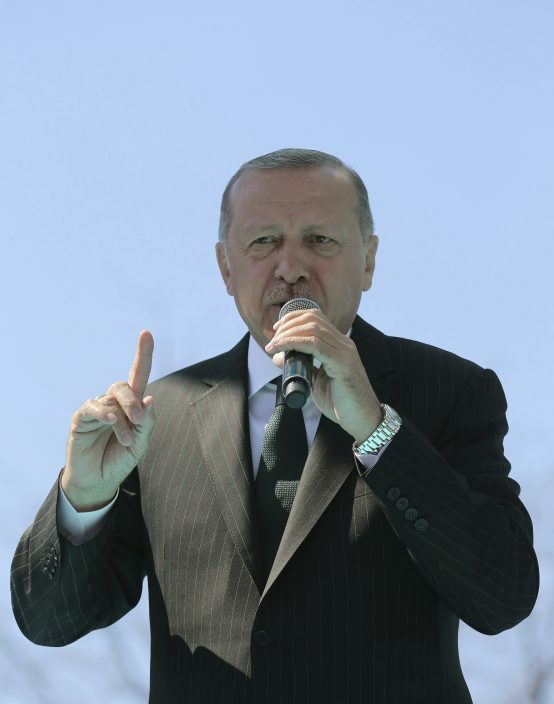 Ignoring widespread criticism, Turkish President Recep Tayyip Erdogan on Tuesday again showed excerpts of a video taken by the attacker who killed 50 people in mosques in New Zealand, to denounce what he called rising hatred and prejudice against Islam. 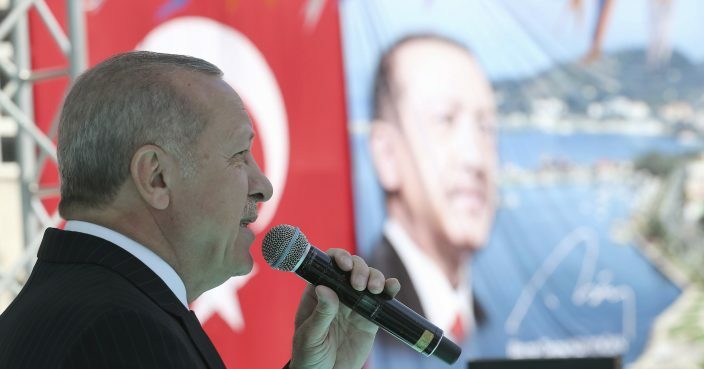 Erdogan told supporters: "If New Zealand fails to hold the attacker accountable, one way or another we will hold him to account." The video prompted widespread condemnation. Facebook said it removed 1.5 million versions of the video in the first 24 hours after the attack. 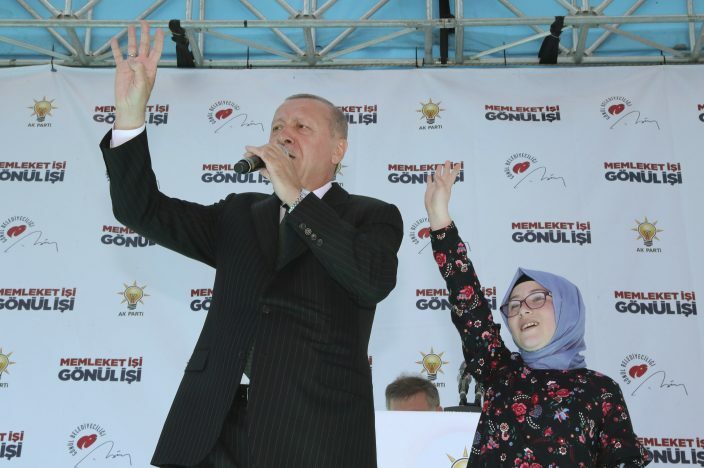 Turkey's main opposition party has also criticized Erdogan for showing the clip "for the sake of (winning) three or five votes" at the elections. New Zealand Foreign Minister Winston Peters said Monday he told his Turkish counterpart the video doesn't represent New Zealand. Peters is due in Turkey later this week to attend a meeting of the Organization of Islamic Cooperation in Istanbul as an observer. The New Zealand Embassy in Ankara also said Peters had raised the issue with a Turkish delegation in New Zealand. It said the embassy in Ankara and as well as other embassies worldwide had requested that media outlets not show the footage. 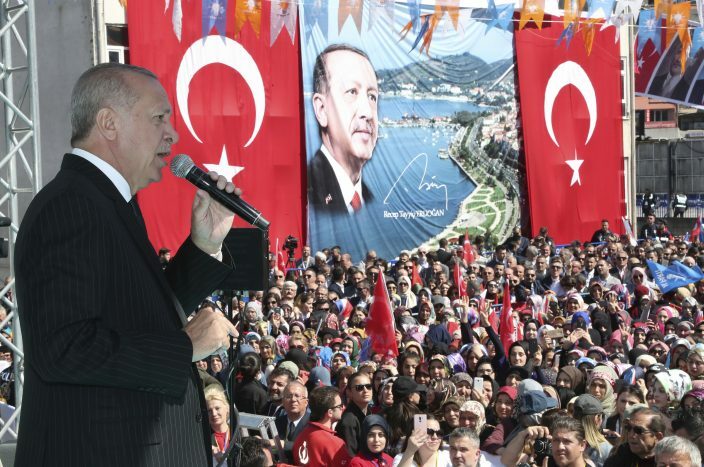 In inflammatory comments on Monday, Erdogan suggested that anyone who comes to Turkey with anti-Muslim sentiments would be sent back in coffins, "like their grandfathers were" during the Gallipoli campaign. 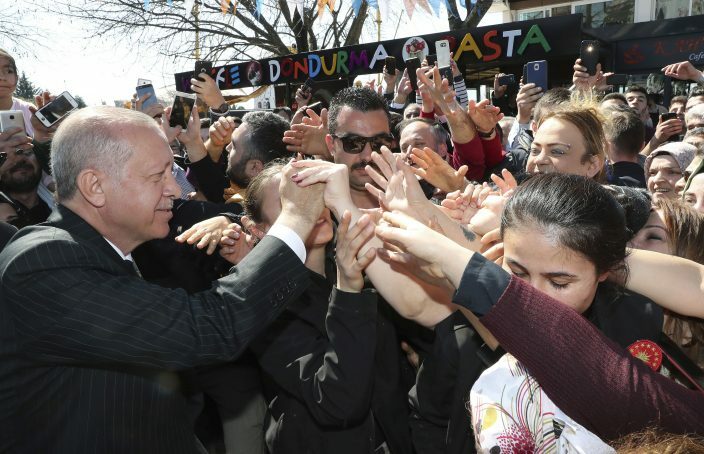 He made the comments in Canakkale province, northwestern Turkey which is home to the historic battlefields, on the anniversary of a World War I Turkish naval victory.